While thousands of surf fans flock from Waikiki hotels to O‘ahu’s NORTH SHORE every winter to observe some of the largest, surf-friendly waves on the planet, it doesn’t have to be surf season to enjoy the marvels on O‘ahu’s fabled northern coast. of Hale‘iwa’s colorful surfer signs upon entering or exiting this quirky town. Continue the drive further north to WAIMEA and KAHUKU. Check out one of the many shrimp trucks that dot the landscape. You’ll probably also run into a fruit stand or two. Explore WAIMEA VALLEY, and soak up some sun and beach time at breathtaking WAIMEA BAY. Head to SUNSET BEACH for romantic sunsets, glistening sand—and see the infamous BANZAI PIPELINE! 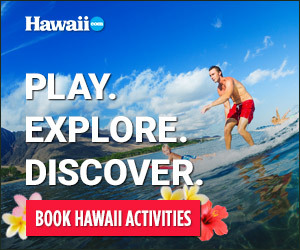 Take time to experience KAHUKU FARMS’ cafe, tours and shop, and then continue on to TURTLE BAY RESORT FOR NUMEROUS activities, including golf, horseback riding, dining and, of course, the beach!